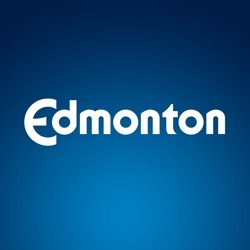 Edmontonians’ Assessment: Safe City measures the percentage of respondents to the Edmontonians’ Perception Survey who report that overall, Edmonton is a safe city. This measure is used to assess whether Edmontonians feel safe and are more likely to participate in activities outside the home. A third-party vendor conducts the survey by telephone. Data on overall satisfaction with City services; satisfaction with individual services; recommendations for Edmonton as a place to live, work and visit. D1 to B11 - Demographic information. B1 - Overall satisfaction with City services. B2_0 to B2_2 - Recommending Edmonton. B8_0 to B8_13 - Satisfaction with each service area. Indicate your level of satisfaction with the way in which the various services are currently being delivered by the city. Over the past few years, the City has worked with thousands of Edmontonians to set a long-term vision for the City in 2040. Edmontonians also helped create 10-year goals for the city to move towards the vision. From that input, City Council embedded the goals a strategic plan (www.edmonton.ca/StrategicPlan) to guide all decisions. City Council has created outcomes or “objectives” to achieve those goals. Please indicate which of the TEN following objectives the City of Edmonton is seeking to accomplish are most important to you. B6_1 to B6_24 - Various City Goals. Note: 1-important; 0-not important. Given the following options to deal with increased costs to pay for City services, which would you support to balance the budget the most and which would you support the least? This was one single topic among many as part of the February Mixed Topic survey. Test link to view these questions: https://www.edmontoninsightcommunity.ca/R.aspx?a=193&t=1. Open from February 9 - 17, 2015. At the time the survey was launched survey invitations were sent to 2302 Insight Community Members. 1021 members completed the survey which represents a completion rate of 44%. A total of 1205 respondents completed the survey: 1137 Insight Community Members and 68 using the anonymous link which will have no demographic info.